White House and top congressional Democrats are not giving up on passing a pro-abortion health care bill. The Obama White House and top Democratic congressional leaders, although shaken by the January 19 election of Republican Scott Brown to the U.S. Senate seat previously held by Ted Kennedy (D-Mass. ), are attempting to push broad health care legislation through Congress within a matter of weeks. This means that the lives of unborn children remain in grave jeopardy! On January 25, the Associated Press reported the emergence of a new plan which would allow the U.S. Senate to pass health care legislation with a 51-vote majority. House Speaker Nancy Pelosi (D-Calif) may revise the Senate health care bill (H.R. 3590). If the U.S. House makes changes to the U.S. Senate health care bill and passes the bill, the bill will then be returned to the U.S. Senate. The U.S. Senate could use a procedure known as reconciliation and circumvent the need for a 60-vote majority. In this scenario, a majority of 51 Senators could amend their bill to address House concerns sending the bill to President Obama. National Right to Life notes that the enactment of the abortion-related provisions of the health care bill passed by the Senate (H.R. 3590) would constitute the biggest expansion of abortion by Congress since Roe v. Wade. Time is short! Please telephone the office of your U.S. House member. The Washington offices of your representatives can be reached through the Capitol Switchboard, 202-224-3121. Or, for direct and local numbers, see the Congressional Contact Information. Sample message: "I strongly urge you to oppose any health care legislation that does not contain explicit and comprehensive protections against federal subsidies for abortion and federal pro-abortion mandates. I am strongly opposed to the bill passed by the Senate on December 24 (H.R. 3590), which would result in funding of abortion, subsidies for private insurance plans that cover abortion, and pro-abortion federal mandates. The language of the Stupak-Pitts Amendment, approved by the House on November 7, 2009, is absolutely necessary in any health care bill." A group of pro-abortion organizations are upset with CBS after learning that CBS will air a commercial during the Super Bowl featuring former Heisman winning quarterback Tim Tebow and his mother. When Pam Tebow was pregnant with Tim, doctors advised her to have an abortion. Right to Life of Michigan affiliates Holland Area Right to Life, Jackson Right to Life, North Oakland Right to Life and Lenawee County Right to Life all had their prolife events featured in articles in their local newspapers. How will we treat the unborn? The Traverse City Record-Eagle recently published a guest editorial by Right to Life of Michigan President Barbara Listing. For decades, our country has struggled with a pivotal question: How will we treat the unborn? Will we accept them as fellow human beings worthy of respect and protection? Or, will we treat them as depersonalized entities whose rights are conjured up when they reach some arbitrary point of development or exit the birth canal? Or, maybe, we'll view the wanted ones one way and the unwanted ones another. 37 years. 50 million lives and counting. January 22, 2010, marks 37 years since the Roe v. Wade and Doe v. Bolton U.S. Supreme court decisions were handed down. These rulings legalized abortion in the United States through all nine months of pregnancy. In the past 37 years, more than 50 million unborn children have tragically lost their lives to abortion in our nation. Abortion, sadly, relies on a lack of hope for the future. You see, a woman's decision to abort her child can only seem plausible when giving birth seems impossible. 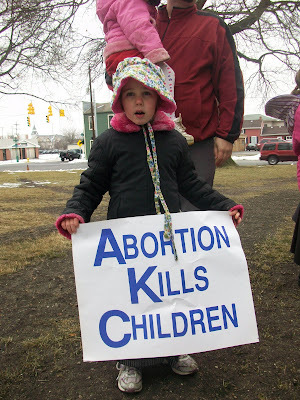 Right to Life of Michigan refuses to accept abortion as a solution. In fact, every day we work to restore legal rights for the unborn and to offer women real life-affirming options. We ask you to join us on this 37th memorial of the U.S. Supreme Court decisions that have brought such pain to women and divisiveness to our nation. Your donation of $37, one dollar for every year abortion has been legal in the U.S., will help us work toward our goal of a day when all are welcomed in life and protected in law. Right to Life of Michigan is the coordinating and unifying body for local affiliates throughout our state, allowing members of the prolife movement in Michigan to speak with one voice on abortion and related life issues. These gifts are used to support Right to Life of Michigan's programs to protect the unborn and other threatened members of the human family. Thankfully, we have been successful. The work of Right to Life of Michigan has played a key role in Michigan's staggering 47.4 percent decrease in abortions over the past 20 years. Thank you for your past support. Please consider a gift today of $37 to help us promote life in Michigan. In today's Detroit News, Congressman Bart Stupak has an editorial explaining his prolife amendment, his position on abortion and health care reform and his opposition to the abortion language in the Senate's version of health care reform. National Right to Life Committee has sent this letter to members of Congress listing six prolife criteria which the Senate version of health care reform fails to meet. In conclusion: NRLC believes that enactment of the abortion-related provisions of the Senate-passed health care bill would ultimately result in substantial expansions of abortion, driven by federal administrative decrees and federal subsidies, and a vote to advance such legislation would be described in those terms in the NRLC congressional scorecard for the 111th Congress. In contrast, inclusion of the substance of the House-passed abortion language, on the six points cited above, would preserve long-established federal policies on abortion, and would fully address our concerns regarding the abortion policy issues. A teleseminar featuring Right to Life of Michigan President Barbara Listing has been planned for Tuesday, January 12, at 1 p.m. Barbara will provide an update on national health care reform. In addition, Right to Life of Michigan Legislative Director Ed Rivet will highlight the decision issued on December 30 by the Montana Supreme Court, essentially legalizing physician assisted suicide in that state. Pam Sherstad will wrap up the teleseminar with a quick highlight of Sanctity of Human Life educational material available on the Right to Life of Michigan web site, www.rtl.org. We are looking forward to connecting with you on Tuesday, January 12, at 1 p.m.
You can take part in this Web Simulcast by visiting the following web site or by calling in to (616) 712-3139. The 37th memorial of Roe v. Wade and Doe v. Bolton on January 22 gives individuals the opportunity to consider real hope for our communities, state and country. ﻿While thousands of Michigan prolifers will be heading to Washington, D.C., to take part in the March for Life on January 22, the majority of us won't be leaving the state. That doesn't mean we can't take part in prolife events which mourn the more than 50 million unborn children our nation has lost since Roe v. Wade and celebrate the sanctity of human life. Throughout Michigan, local Right to Life of Michigan affiliates have organized and planned a plethora of events for Sanctity of Human Life Sunday. Events include prayer services, rallies, vigils, marches and motorcades. These events are an important time for prolife people to come together, get to know other prolifers in their community and renew their commitment to life. Please take the time to look at these events and find an event to attend in your area. Sanctity of Human Life events in Michigan can be viewed at the Right to Life of Michigan's affiliate events page. To find Sanctity of Human Life events, put "January" in the "event month" space and click on "search." You can also search for events by affiliate and city. Find a local prolife event in your community! Events will continue to be added, so keep checking back. The Livingston Daily Press and Argus recently ran a story on Chris Kelly, a graduate from Brighton High School, and how his donation of adult blood stem cells saved a man’s life. Chris Kelly saved a man's life earlier this year. Kelly didn't push him out of the way of a speeding bus or pull him out of a lake. Instead, the 2000 Brighton High School graduate laid in a hospital bed for a couple of days and allowed himself to be hooked up to a dialysis-like machine that recycled his blood. During this process, doctors were able to take away extra peripheral blood stem cells. He donated those peripheral blood stem cells to a 68-year-old man suffering from a disease that causes bone-marrow failure and often leads to leukemia. Two weeks later, Chris Kelly said the recipient, whom he'd never met, was released from a hospital and is doing well. He said the man, who lives on the West Coast, should live a long life without any further complications.